It is the latest pearl added to the already wide range of books devoted to the world of wine with the seal of the publisher Infinite Ideas. Each title of “The Infinite Ideas Classic Wine Library” covers a region, country or type of wine and if we take into account the other books that have already been addressed here then we can say that the quality is once again on a very high level. 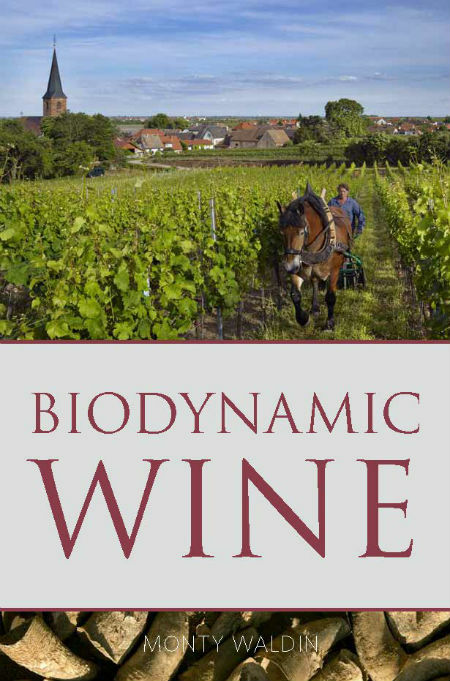 This book entitled Biodynamic Wine deals with a controversial and argument generator subject. On one side we have the admirers and followers/practitioners and on the other a lot of skeptics and nonbelievers. The author is Monty Waldin, an authority when it comes to organic and biodynamic wine, also a critic, consultant and winegrower. The book is an open window to the biodynamic wine, a true source of knowledge where the author explains the processes and philosophies of this way of being in the world of wines with a fluid and engaging writing, step by step. Over the 222 pages we are guided through the Biodynamic wine world. Do not expect evaluation of wines or producers because you simply won’t find any. Once the necessary introduction is made we are taken on a trip to the origins of Biodynamic where Rudolf Steiner’s figure gets an expected important role. In the following chapters we are told about all the prepared, where we get to know among other things why the cow’s horns are stuffed of manure and buried at some point of the year, this and much more, always guided by the most varied techniques and alternative treatments that are listed and explained one by one. How important is the vortex by the time it’s necessary to streamline the prepared? Or which is the connection of the bodies to the cosmos and why the work is done following the celestial rhythm? Finally, a chapter dedicated to the Demeter certification, the accuracy is the same as always as is the will to continue reading and understanding this way of being that is increasingly gaining supporters among wine producers around the world. A book of reference and mandatory for those that have in some way a connection to the fantastic world of wine, both for professionals as for wine lovers. 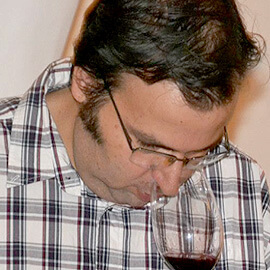 Real Companhia Velha’s portefolio of wines produced at Quinta de Cidrô is based on a surprising collection of domestic and foreign grape varieties. Located near São João da Pesqueira, with over 150 hectares of vineyards, its first plantations date back to the end of the XIX century, when its beautiful and imposing Palace was built. Quinta de Cidrô was bought by Real Companhia Velha in 1972 and was subject of a necessary restructuring, both the vineyards and the palace. They bought new plots and planted new vineyards in a vertical system, as you can see in the photo. 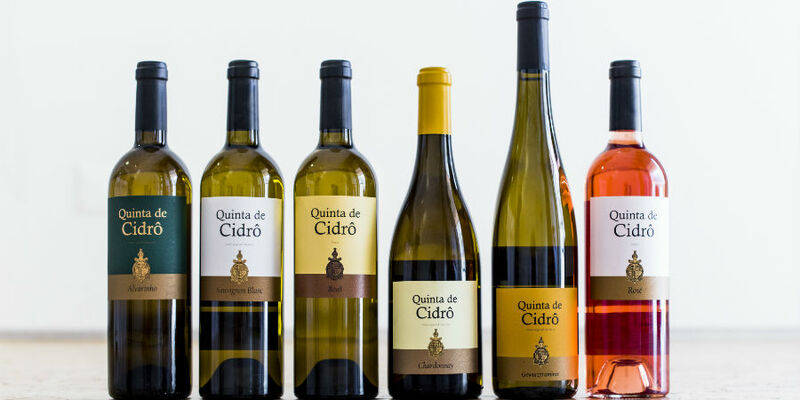 In a concept that we can say of irreverence and innovation, the white varieties such as Chardonnay, Boal, Alvarinho, Sauvignon Blanc or Gewurztraminer or the reds such as Pinot Noir, Touriga Nacional, Cabernet Sauvignon, Rufete have been filling our glasses of aromas and flavors from Quinta de Cidrô. In conversation we learnt that amidst the white varieties is lacking the Riesling, which surely will be planted there in the near future. Most certainly the freshness of the Quinta de Cidrô’s lands will welcome the new lodger as it has done with all the others and showing such good results. Having Quinta do Sidrô 1996 in mind and comparing with the latest Quinta de Cidrô Chardonnay 2015 we can understand the successful path that this house has taken in recent years. The tasting had a handful of white and rosé wines, a total of 6, and all of them showing lively and well defined flavors. An increasingly refined and elegant profile with the Douro marking their souls. An evolution across vintages where the wines are increasingly showing the many charms of the place where they were born. Quinta de Cidrô Alvarinho 2015: Showing freshness in a very focused and cohesive set, structured and marked by the Douro terroir with orchard fruit notes, citrus and a slight mineral austerity in the background. Good palate, tasty and fruit marking the flavors in a cool, dry finish. Quinta de Cidrô Sauvignon Blanc 2015: Still very young. Expressive in a mix of austere fruit of a more tropical character and a touch of lemon candy. Fresh vegetable (asparagus), cohesive set with a medium tone palate as far as presence goes. The fruit is less present than in the nose, finishing fresh and with good persistence. Quinta de Cidrô Boal 2014: The Semillon grape variety is known in the Douro as Boal, so the wine changes its name, but fortunately nothing else has changed keeping all its charms. It is clearly one of my favorites of the tasting. A full and entangling wine that marks us with its freshness and the warmer tone that the wood gives it. Full and rich in flavors and aromas with the acidity completely dominating its spirit. One of those to have, drink and, if you’re able, to keep. Quinta de Cidrô Chardonnay 2015: It’s already a classic and one of the most successful Chardonnay wines made in Portugal for years now. The wine is now more elegant and refined and we can feel the winemaker’s hand. A slight feeling of toasted bread, very subtle wood with freshness and elegance of orchard fruit, underhanded pineapple. Closely-knit but at the same time delicate, clean and captivating. Quinta de Cidrô Gewurztraminer 2015: Aroma full of lychees and rose petals, full of freshness in a very direct aroma that saturates the nose and even the palate, almost always a mixture of freshness with rose water. The problem is mine I’m sure, because rare are the cases of wines made from grape variety that have conquered me, this is no exception and it was the one I liked the least of the tasting. Quinta de Cidrô Rosé 2015: A Rosé made from Touriga Nacional and Touriga Franca. Shows up dry with smoked touch, a mix of red fruits and flowers (Santa Teresinha roses). The palate replicates the aforementioned, marked by very tasty fruit and a good dryness in the end. I’m still in my little tour through the beautiful Quintas around the city of Lisbon. This time I went to visit the prestigious Quinta de Pancas that has been placing so much and such good wine on the table of consumers in recent decades. Quinta de Pancas, founded in 1495, is located 45 km northwest of Lisbon, in Santo Estevão e Triana’s parish, the so-called “Alto Concelho de Alenquer” close to Pancas. Between the Serra de Montejunto and the flatlands of the Tejo’s right bank, in between mountains, hills, valleys and plains Quinta de Pancas has 50 hectares of vineyards. The soils are predominantly calcareous, varying its origin as the altitude of the respective plots and slopes. Regarding the red grape varieties, the highlight goes to Cabernet Sauvignon, Touriga Nacional, Syrah, Merlot, Castelão, Alicante Bouschet, Tinta Roriz, Touriga Franca, Petit Verdot and Malbec. In the white varieties we have the Arinto, Chardonnay and Vital. For years its wines won the tastes of the most demanding consumers. The Special Selection were famous and greed targets in the 90s where shone among others the Touriga Nacional and Cabernet Sauvignon, blinking the eye to a profile inspired by the Bordeaux wines that this house has never hid. At the end of that decade there was a wine that was placed on the market that would be the top of the range, a wine that still brings me fond memories, a wine of excellence that went by the name of Quinta de Pancas Premium. Then the time went by and we witnessed a renewal of the products, some of the charm was lost but not the “savoir faire”. An example of that was the launch of the Grande Escolha. Nowadays we witness Quinta de Pancas’ rebirth, with a new strategy that includes, along with Quinta do Cardo, the splitting of Companhia das Quintas. Now it has a renewed image, signed by Rita Rivotti. The wines, including labels, were also target of renewal and were presented recently. The entry range are the Pancas, red and white version, both from the 2015 vintage, a simple and very direct profile, focused on fresh and inviting ripe fruit. They are in my opinion a very fine buy for daily consumption. In the range Quinta de Pancas there is the red 2014 and the white 2015. The white shows itself better, the red is more cohesive and coy losing to the more cheerful and dust clear Pancas 2015. But the white shows all the candor of ripe, fresh and airy fruit, with slight rounding. It is a clear leap forward in quality and pleasure. To end with, the two Reserva that have also the white and red version. The white is from 2014 and 100% Arinto. The red is from 2013. The Reserva white aged in wood for 8 months, enough to calm its spirit and bring greater complexity to the set, which is dominated by ripe fruit with citrus reminding a lemon tart, light vanilla and biscuit. Palate matching, freshness supported by a beautiful structure. The Reserva red 2013 has also a lot to show, a more rounded profile with red and plump fruit notes, full of harmony and flavor, little wood presence that gives its place for fruit to stand out. A palate with vigor, tasty and with very good freshness packing the tasting, asking for food around. Based on this brief tasting, the wines are still aging, I will say that the Quinta de Pancas’ future is once more promising. A history that began in the 70s when João António Cerdeira with the support of his father, António Esteves Ferreira, planted the first vineyard of Alvarinho. 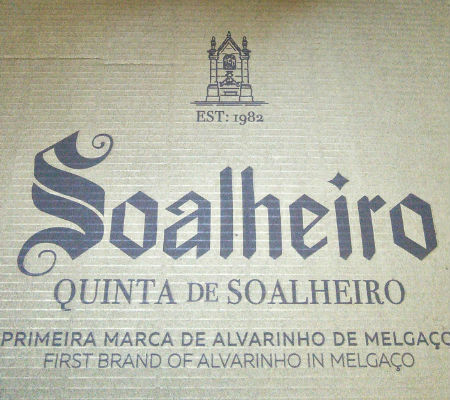 And so, in 1982 at Quinta de Soalheiro was born the first Alvarinho brand in Melgaço, which is nowadays managed by Maria Palmira Cerdeira and her children. An endure that was done through the generations of the Cerdeira family. This was my first contact with Alvarinho, curiously with the Soalheiro Alvarinho 1994, at the time a young man. So is case to say that with the passing of time, after the affirmation, the consecration and at last the project consolidation, comes the time for breaking new ground and challenges with the launch of new wines. These are new ways to understand and show the Alvarinho grape variety, the first approach was the Quinta de Soalheiro from 1999 or so. More recently came the Primeiras Vinhas followed by the Reserva. And even more recent are these two releases, of which one is a première and the other is the second vintage. Debuting we have the Soalheiro Alvarinho Granit 2015, the result of a specific selection from vines planted above 150 meters in granitic soils. The fermentation was made at a temperature above normal for white wines and in stainless steel with battonage on fine lees. The goal is to show the variety’s expression as well as soil’s expression in an austere, mineral and drier side. The highlight goes to the good exuberance with focus on fruit associated with Alvarinho, a very clean profile with great elegance. The palate is lined with fruit and a solid mineral background wrapped in dryness. A very precise and focused wine, another beautiful creation from this producer. 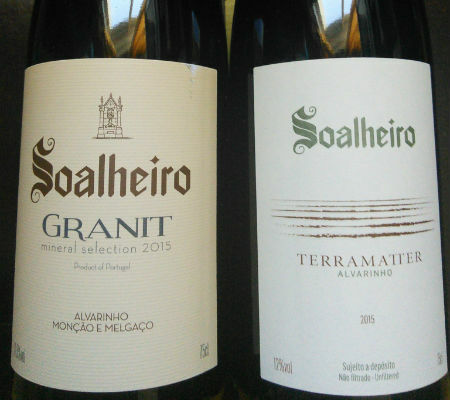 In its second edition is the Soalheiro TerraMatter 2015, made with organically grown grapes, not subject to filtration, with the fruit being early harvested and partial malolactic in barrels of chestnut. Different and overwhelming thanks to its ability to immediately conquer us, both for the difference and the quality that is the hallmark of this house. Fantastic rendering of finesse, power and aromatic definition. There is no place for any kind of olfactory “massacre” in a focused and precise wine. Beautiful presence with still much to give, the time it lasts in the glass shows that. Dense, good volume in the mouth with elegance and freshness, with a slight sense of greasiness. A mineral palate creased in a background full of fruit flavor and freshness. In my opinion it’s better than 2014 and, as expected, it’s still very young so it will be very interesting to follow its evolution, if there are enough bottles for that.